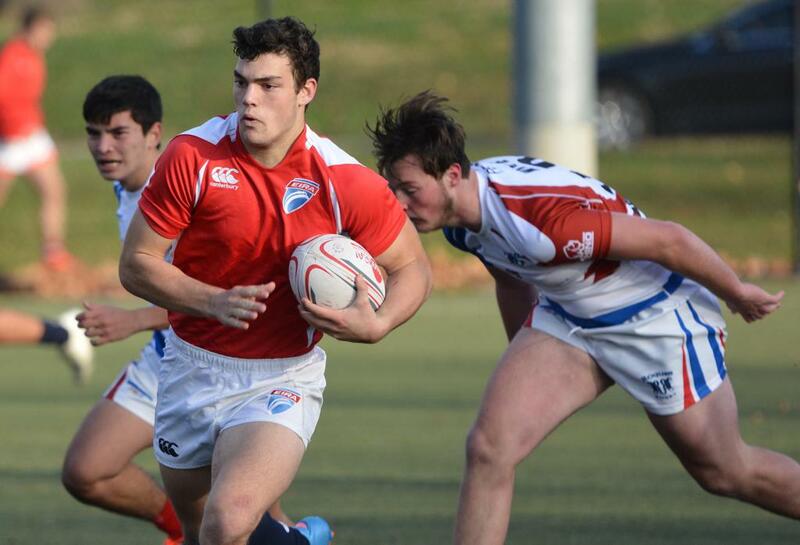 The Upright Rugby Rogues defeated the Rugby Pa All-State team to win the Boys HS Premier division of the New York 7s Saturday at Randall’s Island in New York. It was a very good day for the Canadian teams, with Equipe Quebec taking 3rd over the Toronto Rugby Reds, and Eastern Ontario taking the Bowl over the USA Rugby Community Olympic Development Program. For Upright Rugby out of Ontario, this was a good kick-start to a season that will see them participate in the North American HS 7s Series in 2017. The Rogues won their three pool games with two shutouts and a 34-7 win over Equipe Quebec. They then defeated Toronto 32-19 in the semis. Rugby PA, for their part beat Toronto, won a close one of the USA Rugby CODP, and shut out the NRU Thunder team out of Niagara Falls, Ont. Mike Weir had a very good day for Rugby PA, and scored the opening two tries for his team against Toronto. Jack McCausland scored the team’s third in he then set up Brian Stella’s try to finish it off. Against the CODP, Rugby PA had to come back twice. 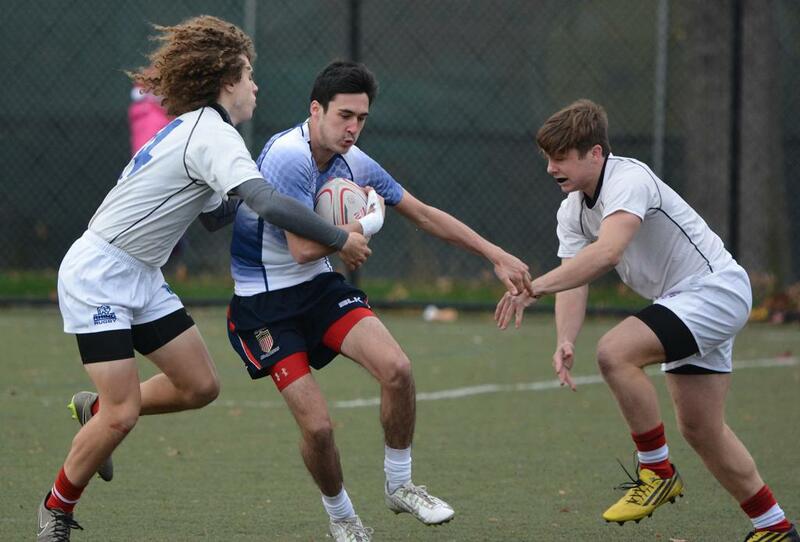 In the second half, CODP led 19-12 but McCausland broke through a tackle and powered 60 meters to tie it up, and, wiht the PA team down a player due to a yellow card, Max Brown set up Mike Salloum for the game-winner with no time left. Chris Bortuzzo, Weir, Javier Sitges, and Salloum all scored in the shutout win over NRU. 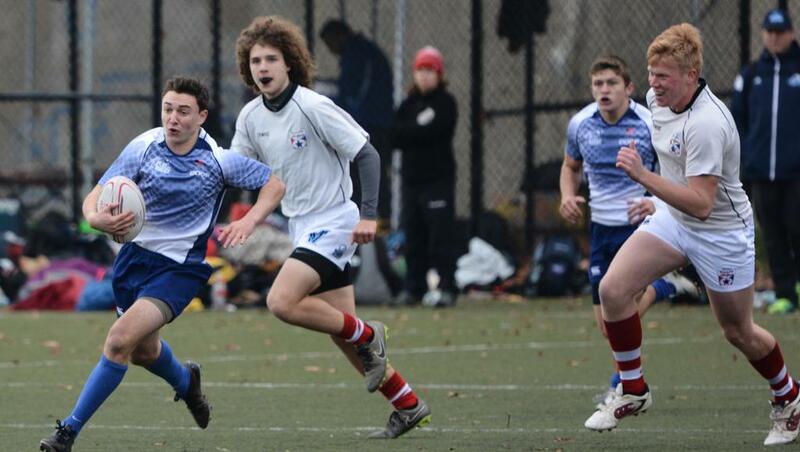 On to the semis for Rugby PA, where Weir got Rugby PA on the board first against Equipe Quebec. But the game stood 7-5 with two minutes to go before Brian Stella broke out of his team’s 22 and raced 80 meters. Bortuzzo ended the game with a tackle that forced a knock-on. So that set up the final, and in that final, the Rogues struck quickly and took a 17-0 lead into the closing moments of the first half, Rugby PA scored, the Rogues answered and in the second half and emerged 29-12 winners. Backed by a solid team effort, the Rogues were led by Josh Engelbrecht and Josiah Morra. Engelbrecht is a Canada U18 player and Morra is playing with the Canada Maple Leafs (just below full cap level) program. Photos Adam Smith. Rugby PA in white v CODP in blue. EIRA NY in red v Rogues.